An industry-leading manufacturer turned to F.E. Moran Special Hazard Systems for a fire protection solution that would protect their valuable equipment. When a fire occurred, the robust suppression system extinguished the fire before the delicate machinery could be damaged. One of the industry's most established providers of specialized precision machined parts is headquartered in the Midwest, providing products to a worldwide customer base from their head office and manufacturing facility. Through the use of Computer Numerically Controlled (CNC) machines, they provide parts and pieces from bar stock that are machined to exacting tolerances. Their manufacturing methods are highly efficient but there are also high-risk fire hazards associated with the process. Because of the hazardous nature of their machinery, the manufacturer decided to implement a robust, cost-effective fire protection system that would protect lives and assets without causing damage to valuable electrical equipment. The manufacturer reached out to F.E. Moran Special Hazard systems to implement a comprehensive fire protection system, which included Stat-X aerosol fire protection systems, manufactured by FireAway, Inc.
After performing a thorough analysis of the facility's fire protection needs, F.E. Moran Special Hazard Systems designed a comprehensive system that consisted of a dedicated, stand alone Stat-X Fire Protection Aerosol Generator and bracket, accompanied with a local fire alarm/releasing control panel with a local detection and release system. The Stat-X generator releases a fine potassium based aerosol that attacks a flame's free radicals, effectively slowing and extinguishing the fire. This was an ideal system for the application because the facility was afforded the peace of mind that their equipment would not only be safeguarded in the event of a fire, but additionally would not suffer any damage as a result of system discharge. During the installation of the system, F. E. Moran encountered an obstacle that was related to the wiring of the CNC machines. Synchronizing the CNC shutdown wiring from the fire protection system's control to the point of interface was an intricate process, but F.E. Moran's experienced installers were able to navigate the wiring for an effective result. Upon completion of the installation, F.E. Moran performed thorough testing of the equipment to ensure that every aspect of the system would be fully operational in the event of a fire. In less than a year after the installation, the fire protection system was activated when a fire started in one of the CNC machines. The system's advanced detection system, which included sensitive Protectowire linear heat detection cable, sent a signal to the control panel at the first sign of the fire, which subsequently triggered the Stat-X system's discharge. It was critical that the detection system sensed the fire as soon as it ignited and it was essential that the control panel activated the system without delay because of the potential risks involved with the CNC machines. A key element to the manufacturing process is the cutting oil that CNC machines use to lubricate and cool the cutters and transport waste. These oils create an elevated risk for high intensity fires because of their flammability. Beyond the hazards associated with the CNC machines, there were many intricate components of the equipment that were highly susceptible to fire damage. Within the machines there is control wiring to the internal parts of the system as well as an abundance of flexible plastic hoses that support the drilling and carving operations, carry cooling substances and lubrication elements. Remarkably, the CNC machines endured the fire unscathed because of the effectiveness of the alarm/detection system and the Stat-X suppression system. Employees who were in the vicinity of the fire when it began indicate that it was a substantial event that had the potential for severe consequences. However, damage to the equipment was nonexistent because of the efficiency of the fire protection system. F. E. Moran Special Hazard Systems was able to replace the Stat-X generator and Protectowire cable within less than two working days, resulting in minimal downtime for the manufacturer. Varying requirements from the AHJ and the insurance provider complicated the design and installation of a comprehensive fire protection system at a natural-gas fueled combined cycle power plant whose production exceeds 600 mw. In the eleventh hour, F.E. Moran Special Hazard Systems dispatched a team to the site to arbitrate, redesign and hand-deliver revised drawings for approval so that the project would be completed correctly and on time. 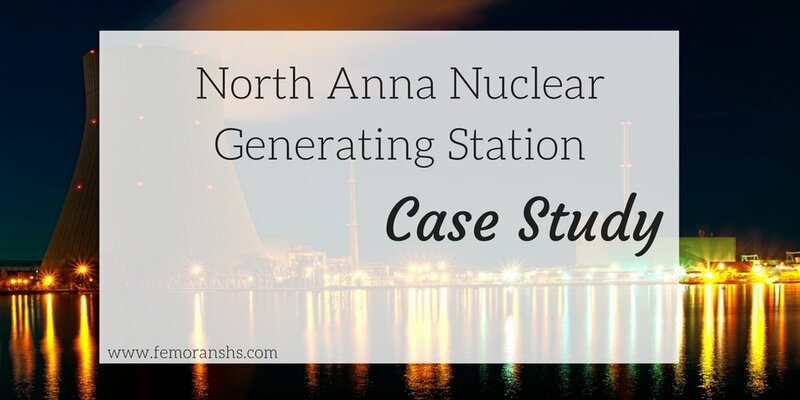 Originally built as a simple cycle power plant that was designed to operate during peak usage times, this natural-gas fueled combined cycle power plant is located outside of one of the Western region's largest cities. In 2011 the plant added two combustion turbines, increasing its production to more than 600 mw to meet growing demand. Implementing alarm and detection systems for combined cycle facilities requires a high level of expertise and experience with the nuances associated with the application. Challenges such as complex turbine underfloors and determining the most effective alarm and detection systems for varying types of fuel means that the contractor who is designing and installing the fire protection systems must have in-depth knowledge and firsthand experience. 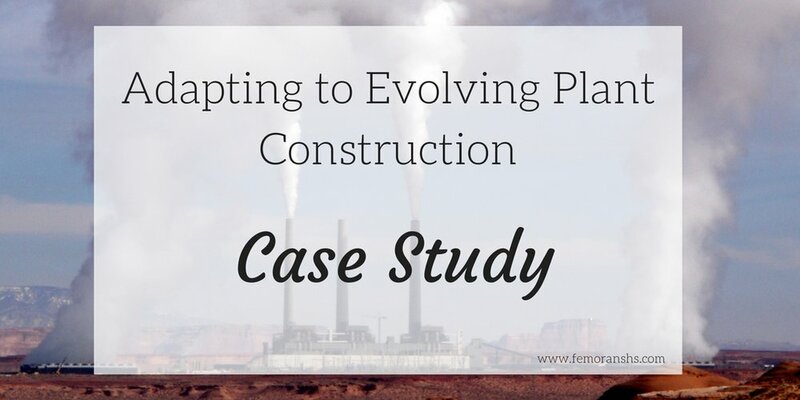 The EPC firm that was selected for the construction of the combined cycle plant had relied on F. E. Moran Special Hazard Systems to provide fire protection systems for many of their projects in the past. Over the past several decades F.E. Moran has successfully completed dozens of combined-cycle projects, which gave the EPC firm the peace of mind that they had the expertise necessary to effectively implement the appropriate systems for the project. The scope of the project included the design and installation of a wide array of alarm and detection systems for the new plant, including: electrically actuated deluge systems for the lube oil tank and seal oil skid; a dry pipe system, preaction systems and a dry standpipe system for the turbine areas, and alarm/detection systems throughout the plant facilities. F.E. Moran had also been tasked with the installation of the CO2 systems for the combustion turbine enclosures, with the design to be provided by the combustion turbine manufacturer. As with every project that F.E. Moran Special Hazard Systems undertakes, the drawings for the system were created in accordance with NFPA requirements such as NFPA 13: Standard for the Installation of Sprinkler Systems. However, as the project progressed, it became evident that it was going to be a challenge to satisfy the specific regulations set forth by the Authorities Having Jurisdiction (AHJ) in conjunction with those required by the facility's insurance company. There were several aspects of the design that necessitated modification in order to fulfill these requirements. In particular, the AHJ called for an elevated hose flow and higher water pressures than were originally calculated. They also stipulated that a unique fire department connection be added to the system, which called for unconventional design tactics. From the insurance company's side, they demanded higher density systems, additional sprinkler heads and more stringent earthquake requirements. Designing and installing a system that complied with all of these criteria demanded careful arbitration among those involved and F.E. Moran's expertise allowed them to navigate the increasing complexity of the project. As the project was approaching its final stage, F.E. Moran Special Hazard Systems was confronted with yet another challenge that arose as a result of the turbine manufacturer's CO2 system designs being incompatible with the AHJ's requirements. The CO2 system drawings that were provided by the turbine manufacturer were generic designs which were not produced distinctively for the facility. Upon the AHJ's review of the drawings it was determined that the design must be customized for the site, which meant redesigning the system on short notice in order to meet an impending performance milestone for the turbines. Based on their superior performance throughout the project thus far, F.E. Moran was entrusted the responsibility of making the necessary design and installation alterations to the drawings to meet the imminent deadline. To ensure that the designs were completed efficiently and accurately, F.E. Moran Special Hazard Systems immediately dispatched a crew out to the facility to design the system. Their designers and technicians remained on-site until the drawings were complete and then hand-delivered them to the AHJ for approval. Following the AHJ's authorization of the drawings, they installed the system and tapped into their resources to obtain a CO2 concentration meter on short notice to complete testing of the system. Despite the onslaught of obstacles that F.E. Moran Special Hazard Systems faced throughout the project, they were able to design and install a comprehensive fire protection system that met the rigorous demands of all those involved. Through their flexibility, their profound knowledge of the systems and their tremendous commitment to the customer, F.E. Moran was able to deliver an effective system that met all relevant codes, within the given timeframe. An operation failure had the potential for disaster when the transformer became suddenly unusable, forcing the fire protection solution to be disabled. With numerous obstacles, but quick action, F.E. Moran Special Hazard Systems and Merom Generating Station overcame adversity, turning over the project in only three weeks. Located in a town that could fit the entire population in one square mile of Indianapolis, with nearly a quarter of that mile to spare, Sullivan, Indiana's Merom Generating Station has been providing energy for over a million homes in southwest Indiana since 1982. On Thursday, May 17, 2012, an operation failure occurred, rendering the transformer disabled. Merom Generating Station and F.E. Moran Special Hazard Systems acted quickly to keep the outage to a minimum. While operating, the transformer failed near the bottom, causing the oil to drain. The loss of oil pressure shut down the transformer, rendering it out of service. A transformer is essential for the transmission of energy to the millions of homes that rely on Merom Generating Station to provide their power. Merom Generating Station acted quickly to resolve the issue by replacing the out of order transformer with one that was already on site. However, to transfer transformers, it was necessary to demolish the existing fire protection system that protected the transformer. Although necessary, this caused a cascade of alterations. First, the transformer was housed in a gravel pit with the pipe stand piers built into the cement. The piers were permanent, forcing the fire protection designer to design a system that utilized the already determined pier locations. This proved to be difficult with a different sized and shaped transformer than the original. The unusual size and shape of the replacement transformer posed its own concerns. The odd shape made it impossible to run a simple looped sprinkler system. The chosen designer would need to customize the sprinkler to fit the odd configuration. Merom Generating Station had a positive working relationship with F.E. Moran Special Hazard Systems after hiring them for their yearly fire protection system inspection. This yearly activity turned into service work, replacing five deluge valves in the crusher house. After experiencing a positive working rapport through the inspection and resulting service, Merom Generating Station knew they wanted to work with F.E. Moran Special Hazard Systems on the transformer fire protection replacement project. On Friday, May 25, 2012 Merom Generating Station contacted Mr. John Bridgman, F.E. Moran Service Manager, informing him of the incident. Mr. Bridgman then contacted Mr. Andrew Aleksich, Senior Designer, to begin the process of designing the custom sprinkler system. Mr. Nicholas Kordecki, Designer, and Mr. Aleksich, Senior Designer, worked together to design a system that used the previously installed piers and was customized to fit the unusual size and shape of the replacement transformer. Within a work week, the drawings were complete and stock listed. In less than two weeks, the sprinkler system and detection layout was approved by the insurance agency, installed, tested, and turned over to Merom Station. Mr. Aleksich said, "I love these quick turn around jobs. They are fun and challenging." Within three weeks, Merom Generating Station went from the potentially devastating loss of a transformer to a new transformer with a fully functioning fire protection system. Mr. Ken LaMont, Production Engineer for Merom Generating Station said, "F.E. Moran stepped up to the plate for us.... [They] did an outstanding job working with us on this job and have done great work on other jobs as requested." F.E. Moran Special Hazard Systems knows the importance of treating clients with respect and fairness while understanding the needs of their businesses. That is why F.E. Moran Special Hazard Systems is depended upon in critical situations where time is of the essence. For over thirty years, F.E. Moran Special Hazard Systems has established itself as a reliable leader in the high-risk, high-value industry. It is a tightly connected industry with interwoven relationships that has enabled F.E. Moran Special Hazard Systems to earn their reputation over the past three decades. When F.E. Moran Special Hazard Systems was tasked with the job of completing an underground installation and upgrade with a strict deadline, Mother Nature attempted to impede their plans. However, F.E. Moran Special Hazard Systems persevered, and finished earlier than the original deadline. A small town in Will County, Illinois with a population that barely reaches 2,000 is the home to a "peaker plant" that supplements the electrical needs of local homes and businesses. This plant was in a tight position when it was sold to a new owner with the stipulation of updating the fire protection before the 12 week close date. In comes F.E. Moran Special Hazard Systems, who not only finished on time, but early despite numerous obstacles. A Will County peaker plant was sold with the condition of updating the underground fire mains and adding new tie-ins to the existing fire pump house before the close date, providing a unique challenge. The parent company had to find a contractor who had a reputation for completing projects with high quality while under a tight deadline. Originally, the bid was for a twelve week turnover, but once the contractor was chosen, the timeline needed to be reduced to eight weeks. The timeline alone would be a difficult challenge for any contractor, but during installation, torrential downpours wreaked havoc on Illinois. In 1 day, the Chicago area saw a record setting 5 inches of rain, 600 flooded streets, 1,200 flooded homes, and 1 massive sinkhole that swallowed several cars. This state-wide disaster took place during the underground installation stage of an already difficult project. With several tight timeline projects under their belt, F.E. Moran Special Hazard Systems was chosen as the fire protection contractor for the peaker plant project. With this project, F.E. Moran Special Hazard Systems was required to replace the existing underground fire mains and new tie-ins to the existing fire pump building in two months. The massive downpours caused another hurdle for the installers. For safety reasons, excavation needed to halt during the rains. If it had continued, the trenches may have collapsed, seriously injuring someone. Once the rain had ended, the installers used pumps to remove the water from the trenches. Due to the record-setting rain, the ground absorbed so much water that each morning the trenches were full of the water that had seeped through the trench walls and into the excavation site. The F.E. Moran Superintendent ordered extra pumps to accommodate the flooding and arrived at 5:30am each morning to pump before the work could begin. In order to finish the increasingly more difficult task of completing the project in eight weeks, F.E. Moran Special Hazard Systems' installers worked weekends and evenings to complete the project to specifications. Within the revised eight week timeline, F.E. Moran Special Hazard Systems completed the project, despite the barrage of obstacles. Through hard work and a dedicated team of installers, this peaker plant had their underground fire mains and fire pump house completed in time for the closing of the sale. F.E. Moran Special Hazard Systems has been providing turn-key fire protection solutions for power plants, chemical processing facilities, and heavy industrial plants since 1979. Through this targeted experience, they are able to utilize their expertise to conquer seemingly impossible tasks under extreme pressure. When a nitrogen fertilizer plant experienced an explosion in an unprotected area of their plant, they quickly called F.E. Moran Special Hazard Systems to remedy the issue and keep their plant safe. A nitrogen fertilizer plant in East Dubuque, IL is a primary producer of nitrogen fertilizer in the heart of the Midwest. They have been producing nitrogen fertilizer since 1965, providing low cost, environmentally conscious product. When an explosion rocked the plant only two weeks before Christmas, they called F.E. Moran Special Hazard Systems to get the plant back in working condition. Before Christmas, F.E. Moran Special Hazard Systems accomplished that. In early December, a gas leak in a 6-story vessel caused a major explosion. It was a wake-up call for the company. Wanting to prevent any future incidents, they called F.E. Moran Special Hazard Systems to install a deluge fire sprinkler system around the vessel. F.E. Moran Special Hazard Systems designs and installs deluge systems often, but this time the obstacle arose to begin and end the project within two weeks. A nitrogen fertilizer plant needed the project to be wrapped up before Christmas, creating a challenge that F.E. Moran Special Hazard Systems was excited to take on. F.E. Moran Special Hazard Systems knew they had a tight timeline to maintain; Christmas was only a few weeks away. The nitrogen fertilizer plant requested a quote and by December 13, 2013, they provided it. The plant approved it and December 16, 2013, the PO was sent. The design began December 16, 2013 and was turned over December 18, 2013. The material was ordered the same day and installation began. The plant was mobilized December 20, 2013 and by December 23, 2013 the project was completed. F.E. Moran Special Hazard Systems turned over the plant with two days to spare. Project Manager Mike Warmington said, "We had a Christmas deadline to complete a package design, materials, and labor. We dropped everything to meet their schedule, and managed to finish in seven days, getting everyone home for the holiday." In the Gulf Coast city of Freeport, TX, industry meets residential. The beautiful coast-side beach homes are juxtaposed with the industries that support local families. This city is the home to a new production plant for emulsion polymers, providing new job opportunities for twenty-five people. F.E. Moran Special Hazard Systems was proud to partner with Zachry on this project and provide fire protection solutions for this chemical plant. The plant's parent company had a specific fire protection plan in mind when they hired F.E. Moran Special Hazard Systems to implement it. A 1200 gallon AR-AFFF Foam Tank was installed in conjunction with a full fire protection system. The challenge arose because of the unique processes of the chemical plant. As the plant processes were determined and the plant developed, fire protection design had to grow as well. An additional problem was the pipe stands. Fire protection contractors generally come in toward the end of a project. This can cause difficulty when finding space for the pipe routing for fire sprinklers. F.E. Moran Special Hazard Systems found that when it was their turn to install, there was limited space left on the pipe rack. They had to evolve in order to meet their fire protection needs. F.E. Moran Special Hazard Systems adapted to the situation. As the chemical plant determined their routing processes, F.E. Moran routed around them, ensuring that the fire protection was up to code and protecting valuable equipment. They submitted 3D AutoCAD designs to the plant, sending new drafts to adapt to process routing decisions until every aspect of the plant was protected. To compensate for the lack of pipe rack room, the designers at F.E. Moran Special Hazard Systems built 3D models to accurately design a way to hang the pipes suspended between pipe rack levels. 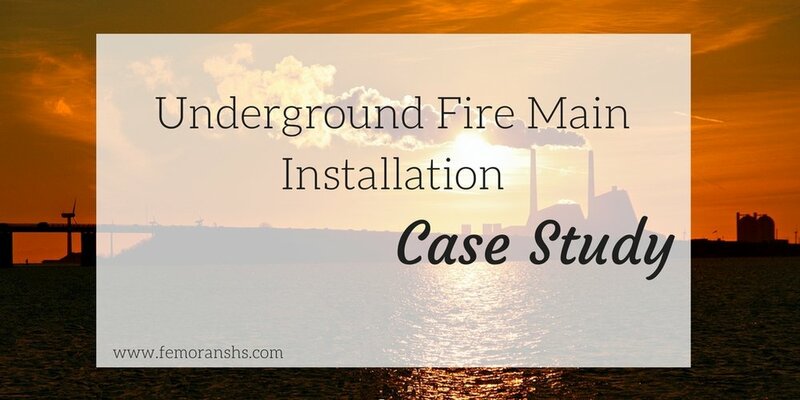 This project provided the opportunity to collaborate with multiple teams and have a more hands-on fire protection design experience than the typical project. It was a learning experience that instilled the importance of collaboration and adaptability for the F.E. Moran Special Hazard Systems team. Even in the best economic climates, many power generating and chemical processing plants struggle to find the capital resources to invest in new fire alarm and detection systems. Times like these make it difficult to see beyond just operating and maintaining the plant production equipment. However, if a fire occurs on a piece of critical path equipment and the fire alarm or detection system's functionality is inadequate, the financial consequences associated with interrupted business can be devastating. It is imperative that the functional state of a facility's aging alarm and detection systems is not eclipsed by day to day operations because of the gravity of the consequences of substandard alarm and detection. Why Do Aging Fire Alarm and Detection Systems Become Unreliable? The basic precepts of any fire alarm system are that it 1) warns occupants and plant operations of abnormal conditions, 2) alerts the appropriate first responders and 3) initiates fire protection systems and facility operations to enhance the protection of people, plant and production. There are many reasons why an aged fire alarm or detection system's functionality can be compromised, from environmental factors to problems dating back to initial installation or imperfect design practices. A deficient inspection, testing and maintenance program will also take its toll on equipment, accelerating its deterioration. As systems reach the concluding years of their life cycle, finding sufficient support and replacement parts can become a challenge. Collectively, these issues undermine the effectiveness of the systems, create headaches for plant staff and jeopardize the reliability of the plant. Many areas within power generating plants and chemical process facilities have extreme conditions that put stress on all of the equipment within the vicinity. Factors such as high temperatures, corrosive elements, vibration and dusty atmospheres can all be detrimental to the effectiveness of an alarm and detection system that is not properly maintained. Even in applications where systems are not regularly exposed to harsh conditions, the typical life span of control equipment and smoke detectors is approximately ten years, due to natural deterioration. While new fire alarm technology means more sensitive detection, advanced warning and mitigated risk, it also equates obstacles for plants with older systems. Manufacturers are continuously developing technology to leverage their systems over competitors and present the most advanced product that they can to the market. As this technology eventually prevails, updates are introduced into UL and NFPA standards, requiring facilities to either replace their systems or make amendments to their existing equipment in order to remain compliant. A prime example of an update to these standards is the UL864, 9th edition, which went into effect at the end of 2008 and forced wholesale changes to all manufacturer control panels. An overwhelming portion of the panels that predate the update are now considered obsolete and are unsupported. From the manufacturer's perspective, resources must be refocused on new product development rather than supporting antiquated equipment, meaning older systems will no longer be supported and replacement parts will cease to be manufactured. Despite the extreme environments found in power generating plants, many alarm and detection systems do surpass their projected life cycle. Whether through robust engineering and development of the product, smart design and installation, aggressive inspection, testing and maintenance or a combination of all of these factors, many of the original fire alarm systems found in power generating facilities are still meeting their intended function. However, the longer these aging systems are in service, the more problematic they generally become. If a facility opts to try to extend the lifespan of their system, one of the most primary issues they will face is correctly identifying the existing problems that may not be overtly evident. Thorough, comprehensive inspection and testing must be performed in calculated intervals by a party who is knowledgeable about older systems. The nuances associated with particular equipment and the proper solution to problems inherent to decades-old systems can be very particular, requiring a seasoned professional with a wide breadth of expertise. Once system issues are identified, it can be even more challenging to find resources for replacement parts and system manuals. The process of locating antiquated parts for deficient systems, or finding supplementary parts that will mesh with old systems to bring them up to standard, can be extremely time consuming and can distract plant staff from their principal duties. If the facility does not have a broad network for obtaining obsolete parts, they will quickly find that it is extremely difficult to obtain critical parts in a timely fashion, potentially taking fire protection systems out of service until parts can be acquired. As a facility comes to a crossroads about whether to repair/update aging systems or replace them, a number of factors must be taken into consideration. Time, cost and effectiveness of the system are all decisive aspects of the decision making process and must be carefully evaluated before investing money into either option. Consideration of the time, effort and cost of locating and procuring parts and reference materials for an old system should be evaluated before investing additional funds and time in a system that is nearing or has surpassed its expected life cycle. Creating an accurate analysis and projecting costs can be a difficult exercise for someone who does not have a great deal of experience with antiquated replacement parts and may require the assistance of someone working with such systems on a regular basis who has access to parts lists and estimating methods. Regardless of the course that a facility takes, managing old fire alarm systems is a substantial undertaking that requires careful planning and deliberation. Plant staff often find themselves overwhelmed with the complexity of the issues and lacking the information needed to make significant decisions about the future of their aging alarm systems. The best way to approach the management of old systems is to tap into resources that have the knowledge and experience to inspect and test the systems, can conduct a comprehensive analysis about the condition of the system and can provide all of the relevant details in a succinct manner so that plant staff can make informed decisions about the future of their systems. Blockages and Broken Pipes - Do You Know if Your System is Ineffective Due to Freezing in Pipes? Maintaining optimal performance for a power generating or chemical processing facility's fire protection system demands a great deal of attention. Plant staff must continuously monitor the Fire Alarm Control Panel, conduct regular testing at prescribed intervals and perform ongoing system maintenance, along with other related tasks. Among all of these duties, a critical consideration is sometimes neglected- freezing pipes. Most power generating or chemical processing facilities in the United States are susceptible to freezing temperatures during the winter months. This means that water that is subjected to these cold temperatures will inevitably freeze. If the proper measures are not taken to prevent water from freezing within pipes, the consequences can be disastrous. Is Your Facility at Risk for Frozen Pipes? There are several different conditions that can result in frozen pipes and any facility that is located in a cold-weather area is at risk. Perhaps the most common incident that results in freezing pipes is inadequate drainage of the system following activation. Whether the system was tripped because of false detection, a routine inspection or an actual fire, failure to thoroughly drain the residual water will result in freezing if the ambient temperature is sufficiently cold. Another circumstance that can subsequently cause water to freeze is the installation of a wet pipe system in an area that is not heated. In new construction applications, the heat may not be functional at the time that the fire protection system is installed. The lack of heat allows the potential for pipes that are continuously filled with water to freeze. The extent of the damage incurred from frozen pipes varies, depending upon the diameter of the pipe, the amount of water present and the temperature of the environment. Typically, the grooved or threaded fittings are the first part of the system to succumb to the stress caused by the expansion of the ice. However, if initial damage goes unnoticed, it is possible that the problem can escalate until a pipe itself bursts, propelling the resulting damages into the tens of thousands of dollars. Impairment to the system's header, switches, air gauges and water gauges are also associated with frozen pipes. A less obvious impediment to the system occurs when a mass of ice creates a blockage within the pipe, hindering or completely blocking the flow of water. This situation is particularly hazardous because it is not overtly apparent that the system is not capable of functioning at full capacity. It is possible that a plant could be completely oblivious of an ice blockage until a fire occurs and a sprinkler system fails to discharge water. In perspective of the potentially costly damage or consequences of a malfunctioning system, the solutions that a plant can put into place to prevent freezing pipes are relatively simple. In scenarios where a system has tripped and there is lingering water within the pipes, the water must be drained. Before the valve is reset, the main valve, any low areas, or drum drips, should be drained to rid the system of any excess water. This straightforward, yet effectual, practice should be executed every time water enters a dry pipe to prevent freezing water. Pipes that are continuously filled with water but are exposed to cold environments, such as pipe leading from a valve house outdoors, require a solution that will maintain the temperature in the pipe above freezing. Heat tracing these pipes is an effective method for preventing ice blockages or damage to the system caused by expansion, and involves running heat-emitting wire along the pipe. Although these solutions are fairly basic, plants too often incur cost and put their facility at unnecessary risk because the issue of freezing pipes was either overlooked or the plant staff was not aware of the gravity of the consequences. After a system has been installed and tested, it is critical that staff members are fully trained about how to prevent freezing pipes and that continual education occurs at the facility to train new employees and remind existing staff of these best practices. The fire alarm panel communicates a message that can’t be ignored. Learn what the signals mean and how to use them to make good decisions. systems provide a plant with comprehensive fire protection that safeguards lives and protects valuable assets. However, the cost-effectiveness of a complete fire protection system relies on the plant's ability to properly assess and respond to the potential threat. It is a challenge to adequately monitor these systems when alerts are annunciated exclusively on a local level. The time required to respond to remote alerts can have a tremendous impact on the plant's ability to properly respond to the potential threat without impacting plant productivity. Centralizing the monitoring of isolated systems through a wireless Fire Detection and Alarm System (FDAS) is one way to provide plant operations with the real time information needed to make the best decisions. Plants rely on system alarms to notify them of potential safety threats so that they can take the appropriate action to respond to a dangerous situation. When systems only alarm at a local level, the likelihood increases that alarms will not be recognized quickly enough to take the appropriate action. This especially holds true in areas that are infrequently manned, where the alarm could go unacknowledged for extended periods of time. Essentially, when these isolated fire protection systems activate (trip) due to a fire condition, they do not perform the critically important function of immediately communicating their status to emergency response personnel. Although it is commonplace for today's plant to have an FDAS that connects to many of the fire protection systems, a problem arises when new facilities or structures with their own separate systems are added to the site. Frequently, these newer systems are not connected to the existing FDAS, either because the function was overlooked during planning or because it was difficult and expensive to install the necessary raceway and cable to allow for the connection. Systems in older plants are generally even more disconnected, often because they have FDAS's that are incapable of becoming hardwired to a centralized location or they are completely lacking an FDAS. In these situations, some plants compensate by monitoring the fire protection systems with their PLC/DCS system(s), but this method of monitoring does not comply with fire codes and typically only provides local alarms as well. From both a fire code compliance and technical standpoint, the best solution for monitoring fire protection systems is to connect them to a plant site FDAS with a control panel or remote annunciator that is located where emergency response personnel can quickly receive and respond to activity. However, when hardwiring the system, plants encounter an obstacle in that almost all FDAS's need cable and associated conduit or raceway between the control panel and monitored points. The cost of installing cable is significant even in new installations and may not be cost effective or even possible when adding units or retrofitting older ones on an existing site. Another associated issue is that exposed cable and raceway infrastructures degrade over time, causing significant maintenance problems. In some older facilities, a degraded cable system has caused plants to abandon the circuits due to the cost to maintain or replace them, subsequently isolating fire protection systems that were previously monitored. Facilities that do not want the encumbrance or extra cost of installing and maintaining FDAS circuit cable between a control panel and remote locations now have an alternative with wireless FDAS. A control panel, that is also a transmitter/receiver, can be placed in a central location in the plant where it is easily accessible to emergency personnel. Wireless transmitters are connected to formerly isolated fire protection systems to communicate the status of these systems on a point basis via the wireless network. Supplementary repeaters can then be installed in strategic locations throughout the site to create a secure and reliable wireless communication network. These wireless systems are not only easier to install than a wired FDAS, they are also far more economical since hefty cable and raceway costs are eliminated. Other substantial benefits are that future circuit maintenance costs are largely eliminated and additions to the system are typically less costly and easier to implement. For the growing number of plants that are faced with the challenges associated with isolated fire protection systems, a wireless FDAS is often the best solution to integrate all of their systems. Many of the nation's power generating plants were constructed when there were five fire protection choices for their facilities: alarm and detection, sprinkler, Halon 1301, CO2 or remaining unprotected. Plants have undergone various upgrades to meet increasing levels of performance and to satisfy risk management/ insurance requirements. With the phasing out of Halon 1301 and the emergence of many new fire suppression alternatives, it can be challenging to determine which method is the most appropriate for each unique environment. Following its introduction into the fire protection market in the 1960's Halon 1301 experienced three decades as a very popular, effective and diverse method of fire suppression. In applications such as data centers, laboratories, cable spreading rooms, control rooms and areas where getting access to water was a challenge, Halon 1301 was an ideal solution. The effectiveness of the gas was unparalleled at the time and the lack of residue after discharge made it the best available option for a wide array of applications. However, as mounting evidence emerged that chlorofluorocarbons (CFC's- a component of Halon 1301) were depleting the ozone layer, the downfall of this consummate gas was imminent. In 1989, an international agreement known as the Montreal Protocol was signed into effect, which subsequently called for a cease in production of Halon 1301, effective in 1994. The fire protection industry was then faced with the challenge of refining and developing alternative fire suppression systems that would rival the effectiveness of Halon 1301 without any deleterious effects on the environment. All of these variables and more play a role in the design of alternative fire suppression systems. In the wake of the Montreal Protocol, the Clean Air Act (ACC) and other environmental measures, the market was flooded with new products, vying to fill the void left by Halon 1301. Ultimately the market has settled down and substandard products have been eliminated, leaving a core group of solutions that meet these environmental regulations and individually offer their own benefits for varying applications. Of the suppression products that have materialized over the past few decades, clean agents, hypoxic (oxygen deprivation) systems and water mist have solidified the strongest positions in the marketplace. 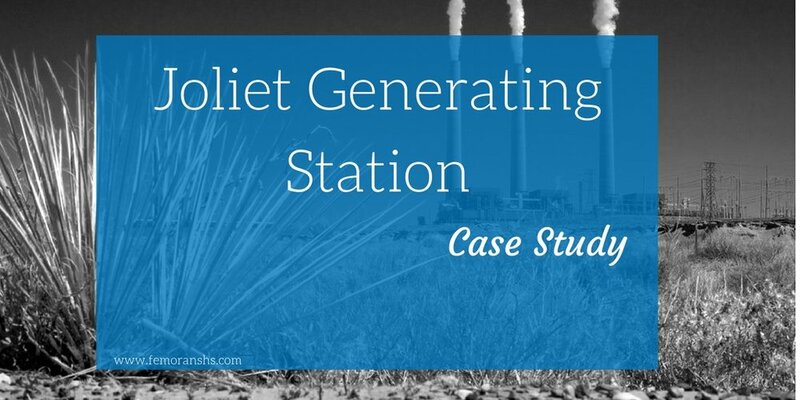 Although these methods have the strongest presence in power generating and chemical processing plants, there are other alternatives that are fitting for these applications. Carbon dioxide systems have a long history in these environments but must be applied only in very specific conditions in order to preserve life safety. Aerosols are another suppression alternative that is currently on the rise with a growing presence in industrial applications. 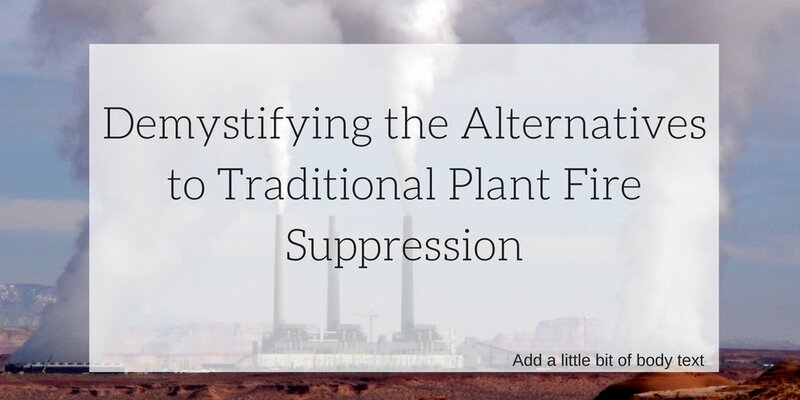 As is demonstrated in the Alternative Suppression Agents Matrix at the end of this article, there are an abundance of suppression options available to facilities, but careful evaluation is often needed to find the optimal solution for the specific hazard. In terms of functionality, clean agents are the alternative that most closely mirror the operation of Halon 1301. By using a mix of cooling effects and inhibiting the chemical interaction of the free radicals of the heat chain reaction and the oxygen/fuel, fires are effectively suppressed. The category of clean agents generally covers HFC (hydrofluorocarbons) style agents such as FM-200 and ECARO-25 (HFC-125). The early emergence of FM-200 on the market as a replacement, but not a direct drop-in replacement substitute to Halon 1301, has allowed it to gain a massive share of the special hazard systems market, ranging from 75% to 85% of the systems installed. Another prevalent clean agent that is not of the HFC family is the Novec 1230 Fire Protection Fluid, manufactured by 3M. Because it has a much higher boiling point than FM-200 & ECARO-25, its advent into the market came with a high degree of visibility because it could be displayed in open containers. The boiling point for FM-200 is 2.48 oF and ECARO-25 is -55.3 oF, whereas Novec 1230 has a boiling point of 120 oF. The initial price of clean agents compared to inert agents can be a deterrent for facilities when selecting a solution, but the higher cost is offset by economical storage options. Inert agents themselves are comparatively inexpensive but the 360psig stored pressure vessels in which clean agents are housed more than compensates for the cost of the gas, making clean agents the most economical alternative to traditional sprinkler systems. A caveat with hydrochlorofluorocarbon (HCFC) based agents such as FM-200, HFC-125 and the fluoroketone, NOVEC 1230, is that when exposed to high temperatures, one of the byproducts of thermal decomposition is hydrogen fluoride (HF). This is a caustic acid that can have toxic effects on people and destructive effects on equipment. Factors such as the size of the fire and temperatures involved has a direct bearing on the amount of hydrogen fluoride produced. With the vast majority of installations the level of HF will not reach dangerous toxic loads (DTL). This class of agents utilizes three primary inert gases in varying quantities: nitrogen, argon and carbon dioxide. Utilizing these gases for the purpose of fire suppression involves depriving a fire of oxygen by inserting inert agents, which effectively displaces a significant amount of the room's atmosphere, lowering the level of oxygen to the threshold at which combustion is not supported. Although an effective method of suppression, there are several considerations that must be regarded to determine if inert agents are a viable solution for a particular environment. Because of the substantial shift in the concentration of atmospheric gases, human exposure must be severely restricted. The general standard for all systems is a maximum exposure time of five minutes per NFPA, although this time interval decreases as concentrations of the agent rise. NFPA sets these limits not only because of the dangers associated with the inert or clean agent themselves, but also because of the undesirable particulates inherent to the fire itself and the risks associated with possible thermal decomposition. Another essential variable that must be assessed is the environment itself. Proper design of the room in which an inert agent could potentially be deployed is critical to its effectiveness. A typical atmospheric composition is approximately 21% oxygen, 78% nitrogen and a 1% amalgamation of CO2, methane, helium and trace amounts of other miscellaneous gases. To successfully control a fire through inert agents, the oxygen level in the room must be reduced to 15% or less. For this to be achieved, anywhere from 35% to 50% of the room volume will be replaced with the inert agent in the span of 60 seconds, making it essential that proper venting exists to exhaust the ambient atmosphere of the room. Failure to provide venting could result in collapsed walls or blown out doors, putting facility occupants at risk. Inert agent hydraulic calculations can provide enclosure minimum strength requirements and required minimum venting to ensure the structural aspects of the room are sufficient. Beyond the prerequisites of the area that is being protected, plants also need to be cognizant of the requirements associated with storage of the gases. Inert agents, without refrigeration, must be stored as a gas under pressure. To maximize the amount of inert agent available, systems are designed to provide storage in pressures up to 300 bar or 4351 pounds per square inch gauge (PSIG). Most systems are based on 200 Bar (2900 PSIG), making the most expensive component of the system the storage tanks. Due to their limited capacity, many tanks must typically be assembled and manifolded together to protect a space, driving up the cost of the system. A manifold assembly of schedule 80 or 160 piping is required to handle the pressure until an engineered pressure reducer orifice is reached. These orifices reduce the pressure and the flow to levels that schedule 40 piping can sustain for the balance of the system piping to the discharge nozzles. This group of systems relies chiefly on the most traditional medium for suppressing fires- water. There is a very diverse and wide-ranging product offering of water mist systems available, based on pumped or "twin fluid" systems, giving facilities the flexibility they need for their specific environment. A good fit for mechanical spaces, turbine areas/enclosures and machinery spaces, water mist systems are suitable for environments that present a primarily Class B hazard with limited Class A combustibles. The foundation of water mist systems is miniscule water droplets that are many times smaller than those created by a typical sprinkler head. With a size range of 10-400 microns, (for reference, a sheet of copy paper is approximately 100 microns thick) these droplets are extremely buoyant and have an overall elevated surface area. When a water droplet impinges on a fire the fire is cooled and the water droplet is converted to steam, expanding at a 1 to 1700 ratio, which also deprives the fire of oxygen. Some water mist systems also utilize nitrogen to generate a smaller water droplet size through specially engineered nozzles or a distribution system, creating a more robust suppression solution. Nitrogen is used in the piping leading to or at the specially engineered nozzles, displacing the room volume. The amount of nitrogen that is introduced into the room is not as substantial as an inert agent system but it still provides significant aid in the fire suppression effort. Another solution that gained popularity following the halt of Halon 1301 production was carbon dioxide systems, which have maintained a presence in specific applications. A potentially lethal agent, the levels of concentration that are required to control a fire also diminish the level of oxygen to a degree that the atmosphere can no longer support life. Because CO2 is heavier than air, there is also a risk in any low lying areas immediately adjacent or underneath the hazard where the gas may "pool". In recent years NFPA has moved to add significant safety features to CO2 systems when installed in normally occupied enclosures. All other methods of fire suppression must be exhaustively researched (and documented) as viable alternatives prior to allowing CO2 to be used. Lock out valves, pneumatic time delays, signage and pneumatic audible signals must be included in the system design. In rare cases these safety devices can be eliminated when hazards to personnel and protected equipment present too much of a danger by adding the safety equipment to the system. The advancement of fire suppression systems that fall outside the traditional realm of sprinkler systems is essential to ensuring the protection of power generating plants and chemical processing facilities, especially as the hazards themselves continue to evolve. The disadvantage of a market saturated with new products and features is that the decision making process for facilities has also become more convoluted. When assessing the various suppression options, the first crucial step is to evaluate the actual hazard to the asset that is being protected. The fire classification must be determined so that the facility can narrow their choices as to which suppression method is the most effective for the application. The next factor that must be considered is the environment in which the agent would be discharged. Adaptations often need to be made to the space such as: sealing walls, modifying doors, HVAC shutdowns, clipping ceiling tiles, dampering supply and exhaust ductwork, sealing conduit and cable penetrations and more. Cylinder storage must also be considered, as some agents demand a close vicinity between the agent and the point of discharge. Halon 1301 was easy to work with hydraulically but many agents are not nearly as flexible regarding distances. Other influences such as insurance company input and local codes and ordinances can have a substantial impact on the outcome of a facility's suppression scheme as well. The facility must work with the Authority Having Jurisdiction (AHJ) to implement a system that will meet their individual fire protection needs while remaining in compliance with local regulations. Lastly, before finalizing the design, facilities should require proof that the system will operate effectively within their specific environment. It is critical that power generating and chemical processing plants work with a knowledgeable and experienced fire protection solution provider who can ensure that they have selected the appropriate system and used correct design and installation methodologies for the application. This article details the importance of maintaining a fire pump to ensure adequate water supply when fire sprinklers activate. Cooling towers - the name itself gives the air of the opposition to fire. Their existence is for the soul purpose of removing heat. However, cooling towers contain very real fire hazards: Polyvinyl Chloride (PVC) fill; Fiberglass Reinforced Plastic (FRP) walls (FRP is often mistaken as an acronym for fire resistant plastic), fan stacks, fan decks, fan blades, louvers, partitions, and catch basins; Acrylonitrile Butadiene Styrene (ABS) and Polypropylene nozzles; and wood. Cooling towers are susceptible to fire when they are online or off. When a cooling tower is online, there are several dry areas within the building with fire hazards available to fuel a blaze. When cooling towers are offline, they are at greater risk for fire with a larger volume of dry space to invade. Don't wait until a fire erupts in a cooling tower to find out the fire sprinkler pipes have failed. Pipe corrosion and scale formation are part of the lifecycle of pipes within a cooling tower. The humid living conditions of these pipes are the perfect catalyst for the deterioration of fire protection pipes. In fact, without pipe and general metal component up-keep, it is estimated that a cooling tower will need to be completely torn down and rebuilt approximately every twenty years. There are three main triggers of pipe break-down in a cooling tower. Many cooling towers are open and exposed to the outside environment. Air pollution particulates and dissolved gases contaminate the water. When evaporation occurs, the pure vapor water enters the atmosphere, while the contaminated water remains in the cooling tower in a concentrated state. This accelerates the corrosion process. The corrosion process is dictated by the velocity of the water. High velocity water increases the volume of corrosion by transporting oxygen and particulates to the metal pipes at a quick rate, providing the opportunity to contaminate a larger volume of piping. When the water velocity is low, it localizes the particulate distribution, causing greater damage to a smaller area. The deteriorating matter is sitting in one spot, giving it the opportunity to eat away at the pipe in a concentrated manner. Contaminated water affects the pH balance of the water, providing new opportunities for deterioration and corrosion. Water in cooling towers comes from a variety of sources, and the source will dictate the pH balance of the water. The damage caused by particulates becomes exasperated when the water loses its pH balance and becomes either too acidic or too alkaline. The imbalance of pH can cause either scale formation or corrosion, depending on the number it reaches on the pH scale. Water that is a pH balance of six or lower is acidic and increases corrosion. Acidic water mixed with oxygen and contaminates like chloride or sulfate will cause corrosion. Corrosion is the deterioration of metal through chemical or electrochemical reaction with its environment. Water that has a pH balance of 8 or higher is too alkaline, causing scales to form. Alkaline water has high concentrations of calcium and/or magnesium. The calcium or magnesium carbonate becomes deposited on pipes, creating scales. When scales build up, it can trap oxygen, causing corrosion. Without annual inspection, testing, and maintenance, a facility would not learn of the pipe deterioration until a fire event happens, leaving the facility without water supply for their fire protection sprinklers. Scale buildup may cause microbial growth between the scales and pipes. This can cause pipe corrosion called microbial induced corrosion (MIC) in addition to the already present scale problem. General Attack: Corrosion is evenly distributed over the metal surface. Pitting Attack: Small areas of the metal are corroded, like in the case of MIC. Galvanic Attack: Corrosion when two different metals are in contact. The warm environment is the perfect atmosphere for microbes to thrive. The microbial growth causes differential aeration. Differential aeration, also known as oxygen concentration cells, occurs when oxygen is trapped between scaling and the metal pipe. This entrapment will not allow the oxygen to diffuse naturally and uniformly. Without the ability to diffuse evenly, oxygen develops into a concentration of cells, causing the cell concentration to eat away at the pipe where it is trapped. Every 25-30 degree increase in temperature doubles the corrosion rate. The contaminated water, pH balance, and warm atmosphere all act in combination to corrode or scale fire protection pipes. Because of the nature of a cooling tower, it is difficult to find a convenient time to take it offline for inspection, testing, or maintenance. However, annual inspections could lead to a longer lifespan for cooling tower fire protection. The environment of a cooling tower is the ideal formula for pipe decay. It cannot be stopped, but it can be delayed. To delay pipe decay, annual inspection and testing needs to be completed by a qualified fire protection solution provider. If corrosion or scale build up is found early, it could be rectified when it is only a small problem and delay the need for a completely new system. If corrosion or scale formation is found and maintenance is needed, the piping system can be replaced with stainless steel, which decays at a much slower rate than standard steel. Do not delay in replacing a fire protection system when it has corroded beyond the point of repair. Cooling Tower fire protection systems, in general, need to be replaced every 7-10 years due to corrosion. Without annual inspection, the only way for a facility to learn that the fire protection pipe system is corroded or has significant scale formation is if there is a fire and the fire protection solution fails. When a fire protection sprinkler system replacement is needed, choose a fire protection solution provider that can meet the accelerated timeline that cooling towers require. Many aspects of the installation can be done beforehand or offsite to minimize the outage: design, survey, material drop off, safety training, and custom pipe fabrication. For more information on cooling tower hazards, FM Global has compiled an in-depth data sheet available here or click here for FEMA's cooling tower fire hazard training. A recycling plant fire in Georgia that ignited in the winter of 2007 provides a chilling example of the importance of regularly maintained and inspected fire sprinklers. The fire broke out in a machinery room and rapidly spread throughout the plant, activating 75 sprinkler heads. It killed one civilian and caused $7.5 million in damages. After the investigation was complete, it was determined that the reason the fire sprinklers proved ineffective was because they were not maintained and had not been inspected according to the NFPA schedule. Maintenance deficiencies included improper sprinkler clearance, sprinkler risers modified to allow the use of garden-type hoses, and the valves were not fully opened. If the wet-pipe fire sprinkler had been inspected quarterly, as is the requirement according to NFPA, this tragedy would not have happened. Any facility type runs the same risk when their water-based sprinklers are not regularly inspected according to NFPA schedule requirements. Power generating plants, chemical processing plants, and heavy manufacturing plants often choose annual inspections because many fire protection systems are required to be inspected on an annual basis; however, water-based fire sprinklers are required to be inspected quarterly. 1. System was manually shut-off early. 2. Wrong type of system for hazard. 3. Water discharged, but the water did not reach the fire. 5. System components are damaged. Lack of maintenance (4) and damaged system components (5) are also addressed during quarterly inspections. If the inspector found that maintenance was needed, it would be done promptly, leading to a safer building. Common maintenance problems found may be corroded sprinkler heads or painted sprinkler heads. Damaged system components can happen as easily as a forklift bumping a sprinkler head or a shuttered building’s wet-pipe sprinkler freezing and cracking the pipe. The damage often happens without anyone’s knowledge and goes unnoticed until an inspector finds the damage or a fire event happens. Quarterly inspections may seem like a daunting task, but it can be quite easy with the right resources. Many fire sprinkler contractors provide inspection services or can recommend a company that can provide inspections at a reasonable cost. When a contractor is hired to provide inspections, facilities have the benefit of having a resource that will track the inspection schedule for the plant and make sure that fire protection systems are in peak working condition. Some high quality fire sprinkler contractors will provide inspection training for plant personnel to provide them the opportunity to inspect their own systems. Remaining up to date on quarterly inspections provides multiple benefits. More often than ever, the Authority Having Jurisdiction (AHJ) is enforcing quarterly water-based fire sprinkler inspections. Maintaining the NFPA schedule will ensure that fines are avoided. Another benefit for quarterly inspections is insurance discounts. Many of the top insurers provide discounts to property owners based on the frequency of their inspections. With regularly scheduled quarterly inspections, plants have the peace of mind in knowing that their fire protection system will be in top condition in the event of a fire. Protect people, plant, and production by maintaining plant fire protection equipment. Biomass Power Plants: What fire hazards are hidden within the fuel? With our world's ever growing energy demands and the pollution produced by the combustion from fossil fuels, we have begun to "re-discover" the usefulness of wood and biomass as energy sources. A major advantage of biomass energy as a source of fuel is it is renewable. With approximately 140 billion metric tons of biomass produced every year, there is a trend in this fuel type being utilized in lieu of fossil fuels as coal burning power plants are being replaced more often due to EPA regulations, increasing the demand for a cheap, efficient renewable fuel source. What causes biomass fires and explosions? Biomass fuel has a wide range of possible refuse items: pellets, chip logs, forestry, sewage sludge, methane, meat and bone, palm kernels, cereal, sawdust, bioenergy crops, or landfill gas. When a biomass fuel is stored in a pile, waiting for transport or use, the biomass can spontaneously heat through oxidation. In order for this to happen, three conditions must sync: rate of heat generation, air supply, and insulation properties of the immediate surroundings. With most biomass material, there is a high moisture content combined with air and/or bacterial fermentation - both of which can cause spontaneous combustion through oxidation. Oil acts as an insulator in both the turbine and transformer, making both susceptible to fires. Three different oil fires are possible on or near the turbine and transformer: spray, pool, or three-dimensional. Spray fires are likely with a pressurized leak. 50% of spray fires in plants are due to malfunctioning bearings. Unpressurized leaks result in pool fires. Pool fires happen when oil accumulates on the floor and then catches fire. Three-dimensional fires can occur when the fire ignites while it is flowing vertically out of a turbine or transformer. Biomass plants are as prone to explosions as a coal-fired power plant. The dust that plagues a coal plant also infests a biomass plant, but with an additional issue. The dust can be made of a multitude of refuse items, creating the problem of an unknown fuel source, making it more difficult to determine the best fire suppressant, increasing the need for an experienced fire protection contractor. During handling and storage, the various fuel sources - wood pellets, chips, or other refuse - can break down, producing fine, combustible dust. For a fire to ignite and thrive, the three elements of the fire triangle must be present: oxygen, fuel, and heat. Without one of these elements, the fire could not live. Explosions occur when two more elements are added to the fire triangle, creating the explosion pentagon - disbursement and confinement of dust. Dust clouds can become confined in bucket elevators, drag chain conveyors, drying and dust extraction systems, mills, and storage silos. It is necessary to not only protect the plant with strong fire protection systems, but to also minimize the dust to reduce the likelihood of an explosion. What can I do to reduce the likelihood of a fire/explosion? The key to preventing explosions and fires is preparation. The main causes of plant fires and explosions are dust, equipment failure, and human error. In order to reduce risk, plant owners should have a strict housekeeping regimen to reduce dust. Additional preventative measures include regularly inspecting equipment, training plant personnel on fire hazards, and installing and maintaining proper fire protection throughout the plant. Following these steps will greatly reduce the likelihood of a fire or explosion. Without a stringent, documented housekeeping routine, even the most robust fire protection system will not prevent an explosion. Biomass power plants should utilize wash down systems and sweep regularly to clear dust build up. Industry surveys show that plants that regularly use wash down systems are satisfied with the results. Dust explosions have a tendency to cause secondary explosions. The initial explosion frees more dust particles, sending them into the air, causing a secondary explosion. Secondary explosions have the highest death toll of any other type of plant conflagration. When preparing for an outage, plant personnel should completely clear the fuel source and all dust from bunkers and silos to eliminate the source of an explosion. In addition, a thorough wash down should take place. If all dust cannot be eradicated from the silo or bunker, inert Carbon Dioxide into the sealed space to remove the oxygen. Silos and bunkers are a common area for fires to ignite due to the collection of combustible materials. To make extinguishment as easy as possible, silos and bunkers should have access points installed on several levels to allow extinguishment tools entrance. Another design choice that may reduce the likelihood of spontaneous combustion is installing a cone shaped or free flow bottom cone floor. Many silos and bunkers have a funnel-flow bottom that allows the fuel source to flow down the center; however, stagnant fuel can accumulate on the sides. When fuel accumulation occurs, it can cause friction, resulting in a heat source. Designing the silo or bunker in a way that promotes free flow will reduce the chances of a fire event. In order to protect the entire biomass facility, several different detectors are needed throughout the plant. Carbon monitors, infrared scanning, temperature scanning, or linear heat detectors are options that can be used throughout the plant. Linear heat detectors will detect heat along a length of space, working well along conveyor belts, which have a tendency to catch fire from idler/roller bearing failure. Spark detection systems protect chutes from igniting. Spark detectors can sense a spark before it has the opportunity to create an explosion. This system is composed of a control panel, detector, and extinguishing assembly. Spark detectors can sense a spark at speeds of 5,000 feet per minute. The system is mounted upstream from the extinguishing equipment, allowing the extinguishing equipment to suppress the spark before it grows into a larger problem. Sprinkler systems should be installed throughout the biomass plant. Silos, bunkers, conveyor belts, crusher buildings, dust collectors, pulverizers, turbines, generators, and transformers are most susceptible to fires. Hazard location will determine the best fire suppression option. Temperature controlled areas are adequately protected by a wet-pipe system. Non-temperature controlled areas need dry-pipe sprinkler systems to avoid potential freezing. Areas that are outdoors and have hazards that require quick suppression without the fear of water damage should use a deluge sprinkler system. Three main suppressants are generally used in biomass applications: water, CO2, foam and/or f500 solutions. In bunker/silo fires, a piercing rod or inerting system should be used to smother the fire at its source, using the strategically placed access points. In all other areas of the plant, water or foam will effectively extinguish fires; it is at the discretion of the plant and fire protection contractor to choose the best suppressant for the application. Due to the non-structured fuel-type, protecting biomass plants can be complicated. Working with a qualified contractor with experience in Biomass Power Plants will keep plant personnel, property, and production safe. Converting Power Plant Fuel Sources: what hazards will arise? Workplace safety is a hot button topic. Safety issues and the lack of protecting employees has been a trending story in the news. How do we protect contractors during a fuel conversion from fire? Contractors must be aware of fire hazards and pre-plan to mitigate them. For example, in the case of Kleen Energy, employees were unaware a gas pipeline purge would be taking place that fateful day. That didn't allow employees to create a Job Safety Analysis (JSA) to determine possible safety risks and ways to avoid them. Contractors should also be aware of fire protocol. If a fire takes place, it is necessary that all personnel on the site knows how they should react: who should the contractors notify? Where should they go as a muster area? How do you react if a co-worker is injured by the fire? All personnel should be aware of a fire plan. Lastly, fire protection should be installed as soon as possible. Fires take place more often during construction or maintenance than when the plant is operating, so employees and property must be protected at all times. There will be new fire hazards associated with the conversion, and it is the job of the plant to protect those involved. By thoroughly planning the fuel conversion, plants can adequately protect the personnel, plant, and productivity.